With so many agencies available to manage your student lettings, why should you choose Mistoria? What is The Mistoria Difference? We manage properties across the North West, with a particular focus on the big university cities of Liverpool, Preston and Salford. This is no coincidence. The North West has the largest student population in the EU (over 200,000 throughout the region), and with it a huge demand for top quality student lettings. Luckily, this is something we know a thing or two about at Mistoria. We hand-pick investment properties for our clients for good rental return and refurbish them to high, award-winning standards. This combination allows us to obtain a 98% occupancy rate. Not bad eh? But where do you come in as a private landlord we hear you cry? 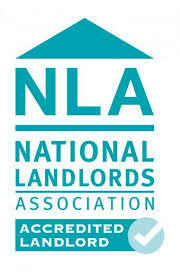 As landlords ourselves, we understand your needs and concerns. You want top quality, long-term tenants who are going to look after your property; an agency that is going to take the hassle away from you whilst maintaining your investment to the highest standard and; the best rental yield possible. At Mistoria we only accommodate professionals, students and working families and work hard to carefully select tenants who are fully aware of their side of the bargain. We agree strict terms within our tenant contracts and expect them to respect the property and its contents. We follow the correct proceedures with regards to the taking, storing and returning of deposits and demand Direct Debits are set up to ensure regular payment. As much a committment to our tenants as it is to our landlords, we have a clear maintenance process. Tenants are asked to tell us immediately of any problems, but at the same time are expected to use common sense and to do their best to keep the property in good working order. Similarly, we will carry out regular inspections and notify our landlords of recommended up-keep and repair work. Emegency repairs will be carried out straight away, with landlord approval gained for work over £150. Find out more about our landlord maintenance services and 24 hour emerancy response contracts. If you are interested in finding out more about a property management contract with Mistoria Estate Agents please call us on 0800 500 3015 or email info@mistoriaestateagents.co.uk with any questions. We work with dozens of private landlords across the country to maintain and tenant their student lettings, we’d love to work with you too.